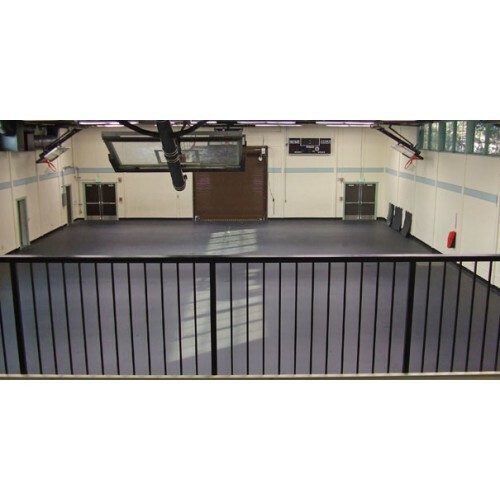 GymDeck is a specially designed rigid ABS gym floor cover that interlocks to create a uniform protective layer over wooden or polyurethane gym floors. 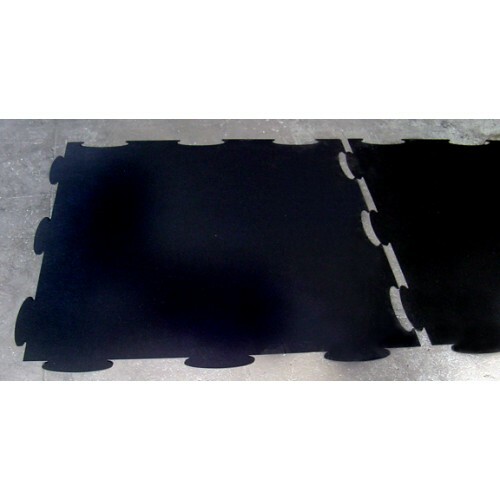 GymDeck's 1/4" ABS construction protects your floor from damage during all types of on-court events. Each section has a smooth underside, which won't damage gym floors, and a textured top surface, which provides additional slip resistance. Tiles are black, but custom colors are available. 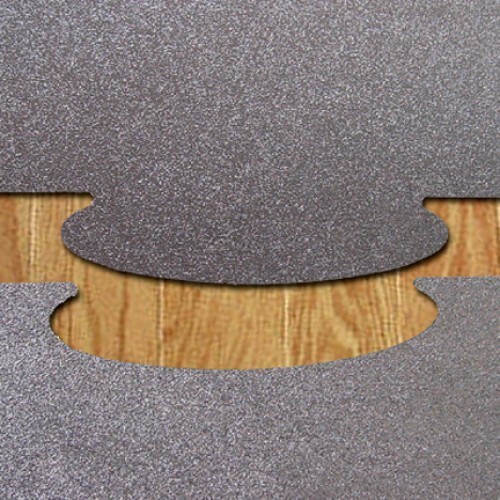 Simply set each super-strong 48" x 48" GymDeck panel (16 sq/ft) into place and align pre-cut interlocking tabs. Once in place, sections will not pull apart, even under the weight of rolling carts and other equipment. 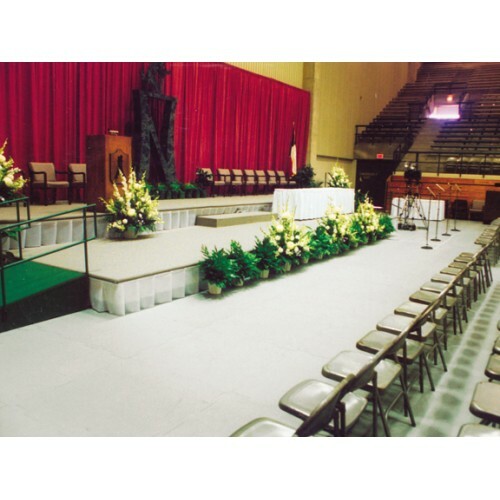 Tables, chairs and staging may be placed directly over the flooring. Make storing and moving your tiles easy with the GymDeck Transport Cart.